Meet and Greet on arrival at Bagdogra /Bhadrapur(Nepal)-Transfer to Darjeeling. Stay overnight at Darjeeling. Early Morning Sunrise Tour to Tiger Hill at 4 am and on return visit Ghoom Monastery, Batasia Loop. After breakfast Darjeeling Seven points sight seeing from 8.30 am to 12.30 am, includes-Himalayan Mountaineering Institute, Himalayan Zoo, Tea Garden, Tibetan Refugee Center. Return to Hotel, Lunch. Afternoon Free. Luxury Villa Samui. 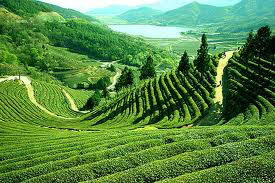 Depart for Gangtok via Peshok Tea Gardens. Drive 4-5 hrs-Check in the Designated hotel. Stay overnight at Gangtok. Day trip to the "Changu Mountain Lake" at Indo-China Border at 12400ft. Return to Gangtok. 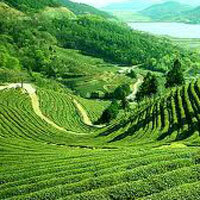 Gangtok-Cherry City Tour from 9 am to 1 pm. Places includes-World Famous Rumtek Dharma Chakra Center, Tibet logy, Govt. Cottage Industries, International Flower Festival, Do-Drul Chorten, Hur Hure Dara. After breakfast, proceed to Tsongmo Lake (12,210 ft)and Baba Mandir, a 40 km drive which takes 2.5 hrs. This lake is located very close to Nathu La Pass, which is the entry point to China termed as the “Silk Route”and remains frozen for most parts of the year. The lake is home to the Brahminy ducks and many migratory birds. Nearby is the sacred Baba Mandir, which is highly acknowledged for its spiritual worth. We can also visit the Nathu La Pass, which is the border between India and China. Later drive back to Gangtok. In the evening you are free for your own activities, followed by overnight stay at the hotel. After breakfast drive to Lachung (8610 ft) anden-route visit the Kabi Lungstok. It is 25km from Gangtok where a treaty was signed between the Tibetan King, Khye Bumsa representing the Bhutias and the Lepcha Chief ThekongTek. The spot where the ceremony took place is marked by a memorial stone pillar amidst the cover of dense forests. We will also visit the Naga Waterfalls and confluence of Lachen Chu & Lachung Chu at Chungthang. Chungthang is predominantly a Lepcha region, the nodal junction for the two passes- Lachen & Lachung. Later, we will halt at the Twin Waterfalls and Bhim Nala Waterfalls. On arrival at Lachung, checkinto a hotel for overnight stay.